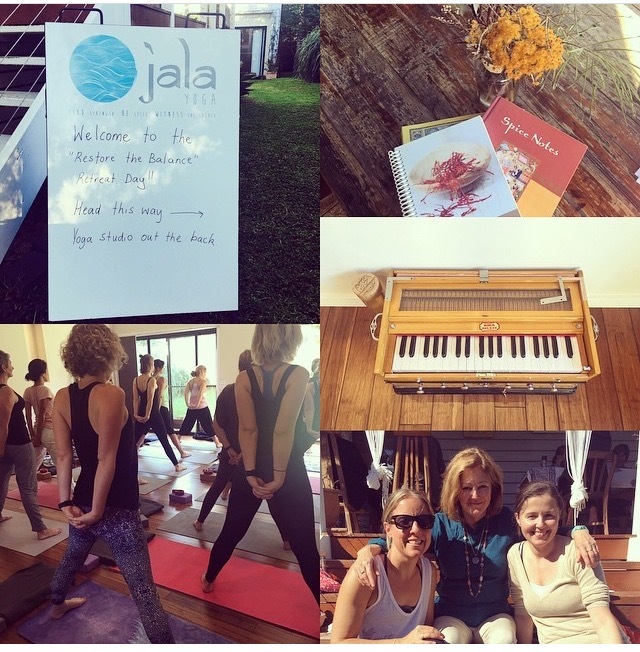 Jala Yoga Byron Bay: Traditional Hatha Yoga incorporating Asana, Pranayama, Mantra, Meditation and Philosophy. Jala means 'sacred water' in Sanskrit. As one of the 5 elements, water is what we're made of. Water nourishes, cleanses and vitalises us. The fluidity of water can be mirrored in life when we flow with the currents - our interactions with the world are fluid and cool. Our yoga practice is a vehicle for clearing the water of our body - physically, mentally, emotionally and spiritually so that our true nature pours forth. "Emma is a natural teacher, you truly feel her passion and love for yoga in her class. Creating a nurturing and encouraging space while also continually challenging and motivating me. She is a great inspiration." "Emma your calmness, gentleness and focus are meant to be shared so that others can experience the joy of yoga you personify. I love the passion you exude and the acceptance you share." "I really enjoy all aspects of your class - positions, breathing, meditation, chanting. You have an ability to create an amazingly calm space - even when I'm really pushing my limits in a position, I still have a feeling of calm which you encourage through your guidance. What I love most about your classes, is that I feel safe to try new things and to keep pushing myself, within my limits. You are always watching and adjusting students to make sure they are in the correct position. Every session is different, so I am always looking forward to see what each one has in store." " Emma, you gave me new perspectives on life for which I am very grateful. It keeps coming back to me being the cause and cure for many issues. Hope we meet up again." "Mum and I really enjoyed your classes. You are a great teacher and very down to earth. You made us feel very welcome and comfortable. We will be back again to attend your class when we are next back at South Golden Beach." Join me for a yoga class that builds strength & flexibility and leaves you feeling still, centred and aware. Connect and thrive through the power of group practice.